Educator, MLA (1923-1927), MLA (1927-1932), Premier of Manitoba (1922-1943), MLA (1933-1936), MLA (1937-1940), MLA (1941-1945), MP (1945-1949). Born at Ellisville, Ontario on 22 June 1883, son of Ephriam M. Bracken and Alberta Gilbert, he graduated from the Ontario Agricultural College. He was a government employee until he became Professor of Field Husbandry at the University of Saskatchewan in 1910. Ten years later he took an appointment as Principal of the Manitoba Agricultural College. One of his activities was a major survey of farm conditions in Manitoba. Within two years he had become Premier of Manitoba, his seat in the Legislature representing The Pas constituency. Although he regarded himself as a Progressive, most of his governments were of the coalition variety, distinguished for their cautious non-partisanship and reflection of the rural interests of the province. He was re-elected or acclaimed in 1922, 1927, 1932, 1936, and 1941. In 1943 Bracken reluctantly became Leader of the federal Conservative Party, insisting that it add the word “Progressive” to its name. He was not a successful leader. He did not actually enter the House of Commons until 1945 (from Neepawa), and he lacked charisma. On the other hand, he did push the party towards acceptance of the welfare state. 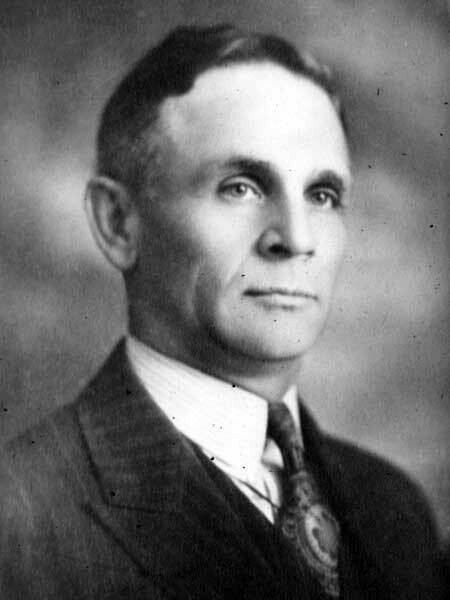 Bracken stepped down from the leadership in 1948, subsequently serving as Chair of a Royal Commission on the liquor laws of Manitoba. He ran in the 1949 federal election but was defeated by Brandon incumbent James E. Matthews. He was also Chairman of the “Box Car Commission” in 1959, established to investigate the distribution of railway cars. He wrote two books, Crop Production in Western Canada (1920) and Dry Farming in Western Canada (1921), the latter book appearing just as the worst drought in Prairie history began. On 22 June 1909, he married Alice Wylie Bruce (1883-1971), with whom he had four sons: John Bruce Bracken (1911-2001), Allan Douglas Bracken (1913-2000), William Gordon Bracken (1914-2008), and George Murray Bracken (1916-1988). The couple was inducted into the Manitoba Order of the Buffalo Hunt on the occasion of their 50th wedding anniversary, in 1959. He received an honorary degree from the University of Manitoba in 1927, and he was inducated to the Manitoba Agricultural Hall of Fame. He was a member of the Masons (Assiniboine Lodge No. 114). He retired to Manotick, south of Ottawa, to raise Jersey cows, Palimino horses, and Shetland ponies. He died at Ottawa, Ontario on 18 March 1969 and was buried in Rideauvale Cemetery at Kars, Ontario. There are papers at the Archives of Manitoba. In July 2016, a section of Highway 10 from the International Peace Garden to Riding Mountain National Park was named the John Bracken Highway in his honour. Uncle of John William Bracken. John Bracken by John Kendle (1979). “John Bracken, 1922-1943” by Robert Wardhaugh and Jason Thistlewaite in Manitoba Premiers of the 19th and 20th Centuries, edited by Barry Ferguson and Robert Wardhaugh, Canadian Plains Research Centre, 2010. John Bracken, Dictionary of Canadian Biography. “John Bracken Highway honours former Manitoba Premier,” Manitoba News Release, 18 July 2016. We thank Susan Bracken and Stan Barclay for providing additional information used here.